Effaclar is a range of daily skincare developed with dermatologists to provide efficient solutions to address the issues of oily and acne-prone skin. Effaclar Clarifying Solution gently exfoliates to clear clogged pores and smooth skin texture. Pores are cleared and appear diminished. Breakouts are reduced. Skin feels smoother, softer and looks healthier. Suitable for sensitive skin. Oil-free*. Fragrance-free. Paraben-free. Dermatologist tested. Can be used alone or as Step 2 of Effaclar Dermatological Acne System along with Effaclar Duo and Effaclar Medicated Gel Cleanser to reduce 60% of acne in only 10 days. Tone up to 2x daily, morning and/or evening. Use a soft cotton ball or pad. Make sure to avoid eye area. No rinsing necessary. For best results use after Effaclar Medicated Gel Cleanser and follow with Effaclar Duo. Maybe 0.5% of salicylic acid is not enough for my skin. 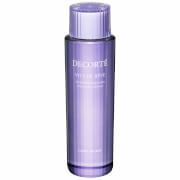 The toner is refreshing but make me breakout the first couple of days when using. I used to use 2% BHA peel and feel good about that. This one is too gentle and nearly ineffective.